June 11 is a date Roy Cockrum will never forget — for two reasons. On June 11, 2010, he was confronted by the unknown; he was undergoing heart surgery at The University of Tennessee Medical Center to save his life. On the same date, but four years later, June 11, 2014, Cockrum was thrilled by the unknown; he won the lottery - $259.8 million as the Powerball Jackpot winner. Yesterday, through his winnings, Cockrum announced his endowed gift of $1 million in honor of Thomas E. Gaines, MD, Associate Professor and Chief of Cardiothoracic Surgery and the doctor who lead his heart surgery on that fateful day in 2010. The Thomas E. Gaines, M.D. Professorship of Cardiothoracic Surgery Endowment, will support research, patient care and education for the Heart Lung Vascular Institute. This gift creates the first endowed professorship for the Graduate School of Medicine. In addition, Cockrum bestowed Guardian Angel awards to Dr. Gaines; Dale Wortham, Professor and Fellowship Director of Cardiovascular Diseases and his cardiologist; and David Rankin, MD, his primary care physician. 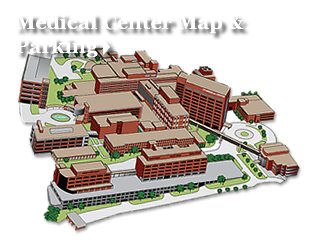 Through the Guardian Angel program at the medical center, patients are able to recognize and honor physicians, nurses, volunteers and staff for providing excellent care. Dr. Gaines said, “It has been my pleasure to be Roy Cockrum’s heart surgeon and now I am deeply grateful that he has chosen to honor those of us who cared for him with this gift.Â Cardiac surgery is very much a team sport and I have been fortunate to have been a part of the cardiothoracic surgery team at UT for almost 25 years. 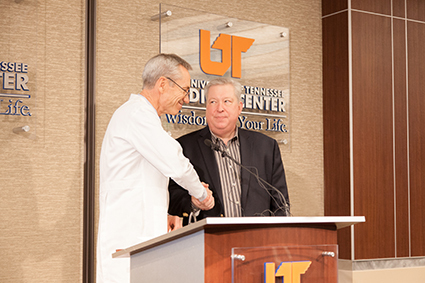 See photos of the endowed professorship gift announcement at The University of Tennessee Medical Center via Flickr.